WINTER SALE - Usually 12.95, today just 7.95 - Save £5! 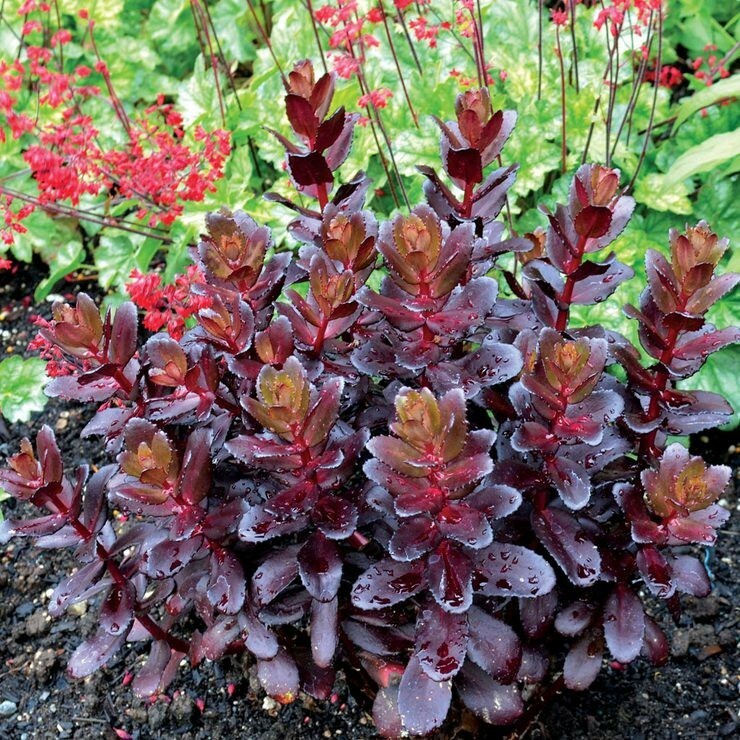 This amazing new perennial Sedum is one of the darkest leafed forms available producing amazing shiny glossy red-brown to purple-brown leaves. 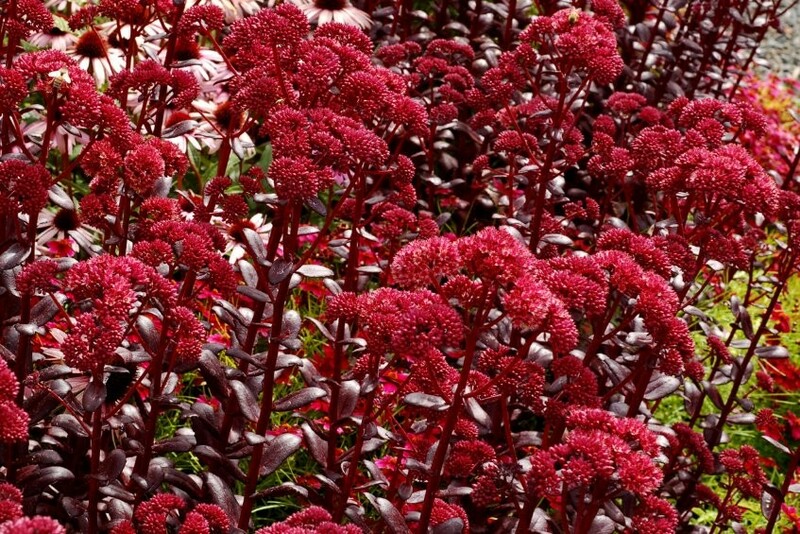 The fleshy foliage is topped by Rose-red flowers from late summer in to Autumn, providing a lovely contrast. 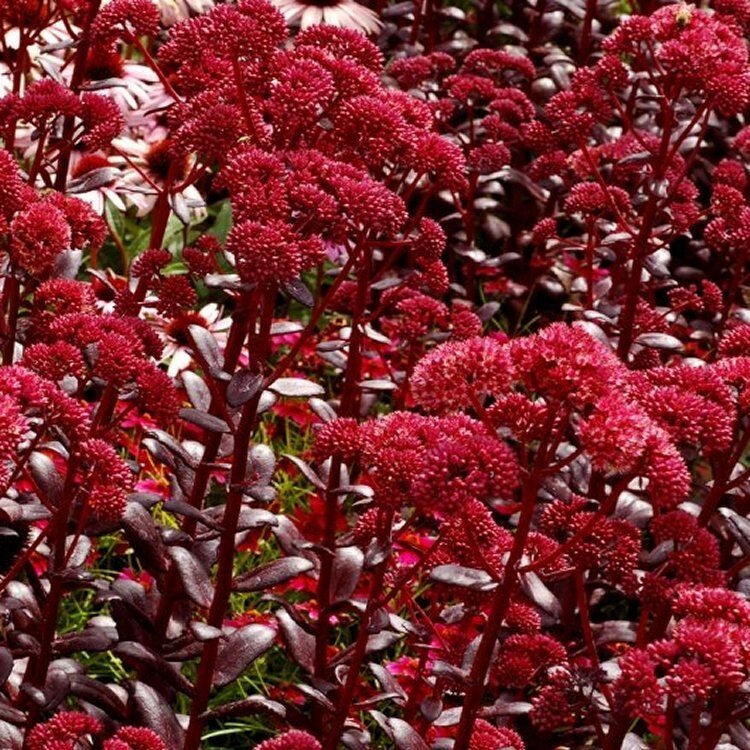 Touchdown Teak is a strongly growing, well branched plant, like all sedums it will cope with poorer stony soils if you do not have the best conditions, enjoying the free draining nature these can provide. 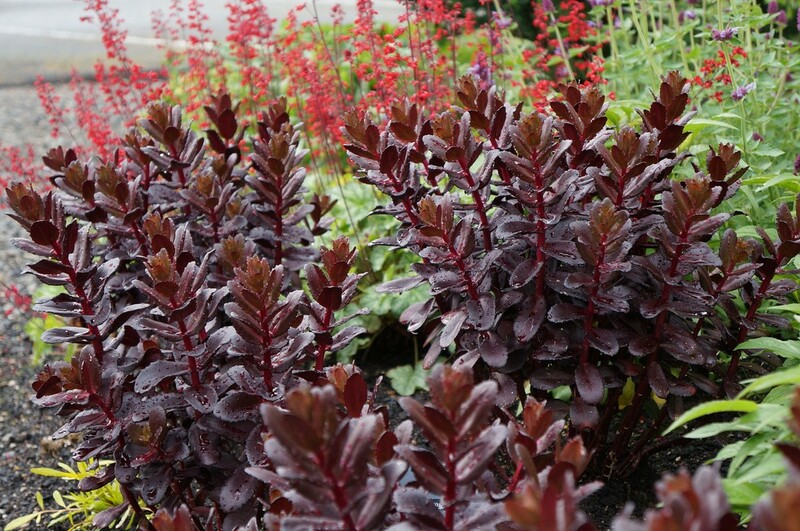 Try planted en-mass for a bold splash of Autumnal colour, and combine with contrasting lighter coloured flowers and silver foliage plants such as Convolvulus cneorum the rest of the year to show off the foliage of both plants to great effect.